The wait is almost over for most American citizens itching to find out who becomes the 45th president of the United States as polls are closing across the states. Results are expected to start coming in from the polls. 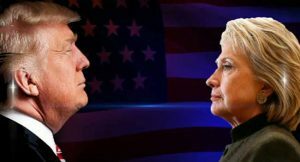 It is an election that is expected to either elect the first female president for the country or it will be the first time an outsider – a businessman – would become the leader of the world’s most powerful country. Early voting closed on Friday and resumed again on Tuesday morning. Voting will end by 8PM. Both the Democratic and Republican candidates have cast their votes in New York their home state. Hillary Clinton was the first of the two to vote, casting her ballot at a polling booth in New York alongside her husband. “I know how much responsibility goes with this and so many people are counting on the outcome of this election, what it means for our country and I will do the very best I can if I am fortunate enough to win today,” she told reporters after she voted. Earlier she took to Twitter to urge voters to “go make some history today”. 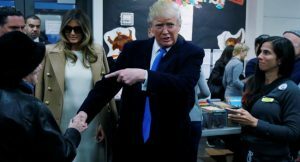 Republican presidential candidate, Donald Trump later stepped out to cast his vote near his home in Manhattan, New York. Earlier, Mr Trump had embarked on his final push for votes in Grand Rapids, Michigan, against earlier plan to do so in New Hampshire. He told voters that this Election Day is America’s independence day and an opportunity for workers to strike back by voting him in as president. Republican presidential candidate, Donald Trump earlier sued the registrar of voters in Clark County, Nevada, over a polling place in Las Vegas that was allowed to remain open late to accommodate people who were lined up to vote. Meanwhile the Nevada judge has rejected the emergency lawsuit by Donald Trump who is suing to isolate the early voting ballots from four voting locations. Nevada is one of several states that permits early voting and Las Vegas is viewed as a base of support for Clinton.